There’s no point denying that the bad guys are out there. POS and ecommerce fraud prevention are top-of-mind these days for banks, credit card companies, payments processors and merchants of all types and sizes. Because retail merchants continue to experience fraud at alarmingly high — and growing — rates. Retail fraud rose dramatically (11%) in 2016, as did the cost merchants had to bear. The study by LexisNexis found that in 2016, chargeback fraud cost merchants a monstrous $2.40 for every $1 lost. That figure comprises product loss, banking fines, penalties and administrative costs. Which represents an 8% increase over 2015 for all types of merchants. Online and mobile merchants drove the increase, experiencing 9-12% growth in the cost of fraud per dollar of revenue. The global ecommerce industry now trades well above $1 trillion in sales per year. With impressive growth rates in both developed and developing markets, all indications are that online transactions will continue to increase exponentially. As online sales volume increases, so does the threat from cyber criminals. Is there any doubt that ecommerce fraud prevention deserves more attention than ever? Fraudsters operating online want to steal what legitimate merchants are working to earn. The crooks attempt to exploit loopholes in the security measures employed on ecommerce websites. They’ll hack the technical coding of commercial websites if they can, and break through the policies and practices of online merchants without a qualm. Typical forms of online fraud include chargeback fraud (sometimes referred to as friendly fraud) and fraudulent transactions using stolen cards or stolen identity and card data. A security breach is particularly damaging to online merchants. That’s why the protection of customers’ information is crucial to the success of online businesses. 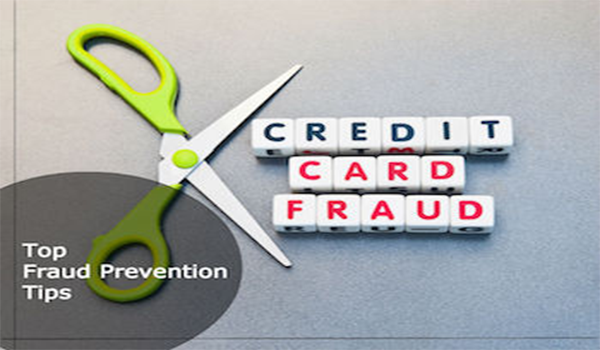 Robust ecommerce fraud prevention measures protect customers from credit card theft and scams, and also protect merchants from chargebacks and fraudulent transactions — which ultimately cost time and money to resolve. Online store owners need to adopt appropriate policies and best practices to diminish their susceptibility to online fraud. The following tips will help prevent both true and friendly fraud. Tip 1: Ensure your ecommerce website is PCI-DSS compliant. Achieve and maintain the Payment Card Industry’s Data Security Standard (PCI DSS) compliance. These standards help ensure that online merchants and their customers are protected from data breaches and other forms of digital fraud. Failing to maintain compliance can result in large fines from major card brands. When choosing your payments processing partner, be sure to insist on a secure PCI-compliant payments gateway that allows card payments via multiple devices; provides quick, secure account verification; advanced management features to improve your business operations; and complete fraud prevention and administrative tools for enhanced business protection. Tip 2: Always require Address Verification (AVS) Card Code Verification (CVV) in your payments gateway. Harness AVS within your payment service so you can ensure that the address the credit card user enters online matches the billing address of the purchaser — the actual card owner who will be charged. It’s also a good idea to make sure the billing address matches the IP location of the person entering the order. You’ll find that many ecommerce platforms offer security protocols to automatically recognize suspicious IP addresses or discrepancies. Tip 3: Have a robust, recurring process to screen your payment gateway for fraudulent transactions. Pay special attention to rapid-delivery orders, which may indicate ecommerce fraud. The same holds true for very large orders. Fraudsters often try to complete several large orders in rapid succession, before the legitimate cardholder reports a card stolen. Document a robust fraud prevention policy. Showcase it on your ecommerce website. While that may help to deter fraudulent activity, it will certainly make buyers more comfortable purchasing on your site. Customers are more likely to conduct commerce with merchants they know have verification procedures in place. One aspect of your ecommerce fraud prevention resolve should be developing good order screening habits, so you don’t turn away orders accidentally and lose money unnecessarily. Tip 4: Look into specialized chargeback prevention tools. If you’re operating in an industry where chargebacks are frequent (Multi-level marketing, online dating, MOTO, adult websites and others) look into a specialized chargeback solution. Some chargeback solution providers offer near real-time alerts from cardholder issuing banks that enable a merchant to assess – and address – a dispute before it turns into a chargeback. Thereby saving the merchant time, reducing operating costs, and protecting merchant profits. Tip 5: Treat Your Customers Well. Recognize that poor customer service is often the root cause of chargeback issues. As a merchant you’re in control of how your customers are treated. You can manage and improve customer service to retain customers and reduce your chargeback rate over time. Do this by ensuring your products and services live up to the promises made. Have an easy-to-use payment process that also includes appropriate security measures. Practice excellent customer communication: Send email confirmations of orders and shipments. Require signatures on order deliveries. And make sure your billing descriptor is recognizable by using your business name. One of the best ways to ensure your ecommerce site includes strong ecommerce fraud prevention capabilities is to partner with the right payments processing partner. Because merchants need to address a lot of things besides selling products or services, it’s important to find the right business partner who will act as a trusted advisor, as a strategic partner. The right payments processing partner for your ecommerce business will help you build a fraud prevention strategy and capabilities tailored to your needs. They’ll help you build into your ecommerce fraud prevention toolkit robust fraud tools, chargeback prevention mechanisms, and a robust payment gateway. And they’ll stick around to help ensure your processing success, long after you begin processing online transactions.